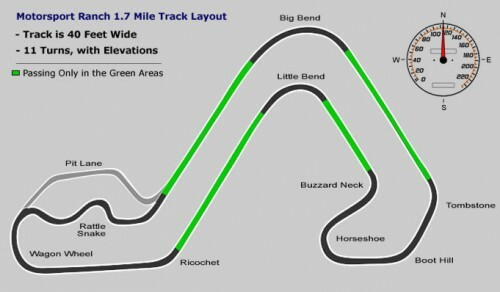 trackdayzone.com - Motorsport Ranch (MSR) in Cresson, TX. 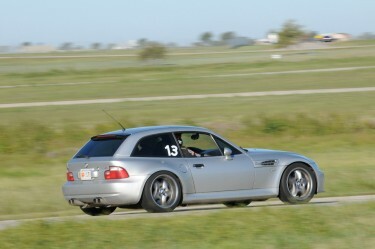 This past weekend I attended the BMW CCA Lone Star Chapter’s Fall DE at Motorsport Ranch (MSR) in Cresson, TX. My very first track experience was with this chapter back in April of this year, on the same track in fact. This time we ran the 1.7mile configuration clockwise. I haven’t run this direction before, so it gave me an opportunity to learn something new. For the first time I trailered my M Coupe up to the track, figuring I’d save a little wear and tear on the car and also carry some extra tools and equipment. I spent Friday going over the car at the house, to include bleeding the master brake cylinder and flushing the system with some new Brembo 600 LCF fluid at the recommendation of BJ from Clown Shoe Motorsports. I threw some extra fluid, my pressure bleeder, and waste fluid bucket in the trailer and hit the road that night. I pulled into MSRabout 2100 and unloaded the trailer at the track so it’d be ready in the morning, then headed to the hotel in Granbury. The next morning I put the Coupe up on jack stands to do another bleed. I attempted to get my new DIS/TIS laptop setup to connect to the car in order to cycle the ABS/DSC, but it was having connection problems, I had only installed the software the night prior in the hotel. So I did the best I could with the Motive pressure bleeder. Upon registration I was handed the usual packet with a track map, vinyl numbers (lucky #13…) and run group decal. I pulled out the run group decal to discover they had placed me in green (novice.) I’m not sure what happened, as my registration had me going in blue (intermediate.) So I went and talked to the chief instructor, who instantly remembered my name. Turns out my instructor from the previous weekend at TWS was also a CCA instructor and had questioned why I was in novice. So they moved me up to the yellow (advanced) group. Since they hadn’t planned on me in the yellow group, I wasn’t assigned a specific instructor. When I pulled into the grid, I sat for a while waiting, fortunately there was a spare instructor whose student hadn’t shown. Turns out it was the same gentleman who gave me a ride along back in April in his E36 M3. We spent most of Sunday just trying to learn the new line of the 1.7 CW. I also had to play around with tire pressures since it was pretty cold that morning. The track was pretty green from all the rain that week, and some morning dew didn’t help. So the first session was pretty squirmy. Fortunately the grip came in quickly by the second session. I did one more brake bleed on Saturday, after taking the car on the grass to activate the ABS the old fashioned way. Sunday was even better track conditions, with a good bit more rubber from the day prior. It was still cold for the first session, so I had aired up the tires to my normal starting pressures. The first session was solo, and I really dialed down my lap times, breaking into the 1:20s. After the first session I neglected to check my hot tire pressures, which came back to bite me. By the time the second session came around, the temps had come up to the high 60s and low 70s. The car was skating around pretty badly, understeering on entry and oversteering on exit. It really compounded when I attempted to set up a pass coming out of Little Bend, where there’s a small dip on the inside. The result was the rear skipped a bit on me and then came around. I checked the pressures after this session (including a cool down) and it was at 46psi, way too high. 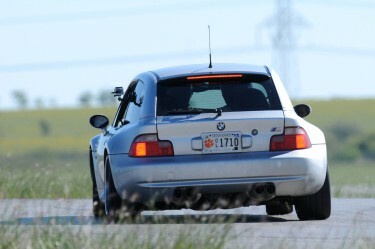 I spent the third session playing lead & follow with a friend’s E46 M3. Passing was much better in the yellow group, and we were able to stay together through traffic. We were even able to beat our best track times. Did pretty well for a couple of 11 year old cars on street tires. I also played around with an OBD-II Bluetooth scanner with the RaceChrono app on my phone. I was able to trick it into working, but it only recorded a bit of data, which I captured in the video below. As with the last CCA event I attended, this one was no disappointment. The Lone Star Chapter puts on a great event, well organized with excellent instructors. Since I was moved up to the advanced run group they even put out some information on an upcoming Club Racing school at TWS in January, as well as the process for becoming an instructor. Since I’m interested in both, I talked to a couple of the instructors afterwards to get some more information. Right now I’m planning on attending the race school, as they just don’t come around too often. I’m really looking forward to it. 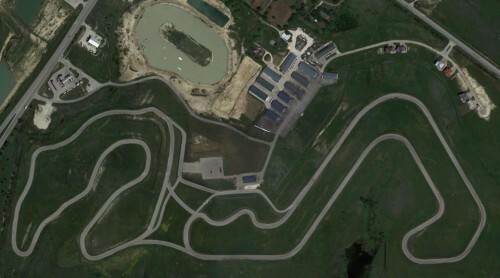 Another benefit of attending the DE event is that it moves you up the list for registering for COTA next year, a track I’m really trying to get some time on. Hopefully everything works out and I’m able to run it next year. You are here: Home \\ Tracks \\ Track List \\ Featured Tracks \\ Motorsport Ranch (MSR) in Cresson, TX.